1. Most people who shop for homes don’t usually remain active during the period because of major distractions like holiday decorating, visiting family, and parties. The weather too is not usually inviting at that period and home buyers prefer staying at home to transacting real estate business. Competition from other buyers is definitely at a low point for the year! 2. Home sellers who couldn’t sell earlier in the year are getting tired of having their homes on the market. The fact that the homes are still available shows that they really, really want them to sell, otherwise they'd probably pull their homes off the market and try later in the new year. If you're looking to find a motivated seller, look for folks who still have their homes for sale in December! 3. Real estate agents are less busy during the holidays and nothing will stop them from giving you quality service. These agents have little work to do at this period and they will be very solicitous, even if you want to submit a lowball offer. No agent would turn down an investor that is willing to buy Santa Cruz real estate in December. 4. Interest rates in December tend to be lower than at other times of the year, because demand for money is lower. Every little bit helps! 5. Lenders might decide to vary qualification for loans next year and you may not be able to meet up with next loan specification. This December could be the best time you have to perfect your real estate investment. 6. Lenders, appraisers escrow companies - everyone has less business in December. You may find that your transaction goes more quickly and smoothly this month because people have more time to work on your transaction. 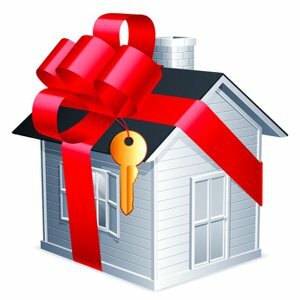 Use this holiday to perfect a bargained house and don’t allow anything to stop you from placing your offers.